Keeping a wife happy and reassured through the inevitable down swings that come with poker is always a difficult task. Some players accomplish this task by sitting down with the numbers and graphs which show a long term positive return, but Serbian Vladimir Ivljanin took a different approach. After a very bad poker session in a casino during which he lost all his money, he decided to avoid a verbal lashing from the wife by running into the nearest Hugo Boss outlet and stealing 3 dresses worth 10,000 Euros. After being arrested, he was brought before a magistrate and given a suspended 16 month sentence. It seems unlikely that his master plan improved the reception he got from his wife when he finally got home. It has long been known that Vanessa has a back up plan of becoming a lawyer if her poker career doesn't work out, and she has shown great work ethic in going on to pass her final law exams despite her poker career flourishing at the same time. She took to twitter this week to announce the news “Passed the bar exam. Anxiously studied twice as long as everyone else; Thus scored way higher than necessary.” Let us hope that she doesn't disappear off into the court rooms any time soon and continues to bring her exciting talents to the poker table for years to come. Traditionally, men have always tried to find a romantic way to propose marriage to their partner. Proposal at gunpoint as masked men with automatic weapons burst into the room possibly doesn't qualify as romantic, but it is certainly memorable. The negative stance recently taken by Russia towards poker gave the man his idea, and he invited his girlfriend to a home poker game, before arranging for masked men to burst in and raid the game. After leaving the table full of players in fear for their lives, the 'special forces' men searched the man and found the engagement ring in his pocket. He then proposed, and despite her ordeal, the lady said yes. PokerStars have always been leaders in innovative new ideas, and their latest is one of the more unusual ones. They have set up a series of questions in a promotional test in order to gain an accurate assessment of whether players have a brain naturally geared towards being good at poker. There are a number of categories which are tested including, courage, bluffing ability, calmness, speed of thought, logic, and detection skill. 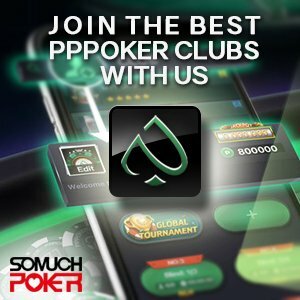 Named as a “poker IQ test” the test claims to be able to determine what aspects of the game you are strongest at, and offers thoughts on what your best style of play would be based on the results.